“Racing ‘cross throughout the winter can be quite kit intensive, at least in terms of the volume of things you may need. As the weather worsens into depths of winter, you are going to need kit to recce and warm up in, kit to race in and then something to change into afterwards. 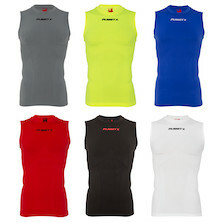 Choosing kit that works for you on the day makes life not only easier but more comfortable. I use a range of kit depending on the conditions, and I’ve summarised some of the thought that goes into choosing the items I’ll race with according to the conditions on the day. When the rain sets in and the temperatures fall, it’s your extremities that suffer most. Good gloves, footwear and headwear can make a big difference in these situations. 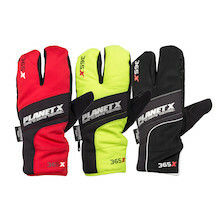 A simple pair of fleece gloves is usually fine for racing in unless it is particularly wet, as you generate a lot of heat racing ‘cross. I find the 365 Race gloves to have a good compromise between warmth and feel on the brake levers and gear shifters, and the rubberised finish on the palms really helps grip when your hand get wet or muddy. If the temperature is below 4 or 5 degrees and it’s raining, it’s worth thinking about using the 365 Lobster gloves with their waterproofing and split finger set up in order to keep your hands warm and dry. 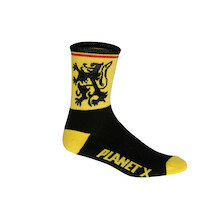 Sockwise I tend to use the Thicky socks, in Flanders colours of course – tough enough to withstand the running that you will inevitably be doing and warmer too than a normer racing sock, they retain comfort and warmth even when wet through. When recceing and riding round the course in warm up before your race, it’s really good to keep your feet warm and dry if you can. I always use PX Neoprene overshoes to keep the worst of the mud and water off – they are particularly good for this as they fit easily over mtb style shoes and can be easily slipped off when already wet and muddy before your race. 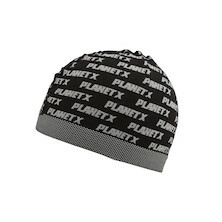 Normally, a simple racing cap is enough to keep the chill off your head without overheating but again, in bad conditions a 365 Pro skullcap is really good for keeping your whole body warmer by minimising the heat lost through your head. 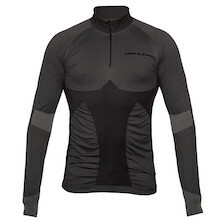 On your body, it’s important to wear a good baselayer under your race top or skinsuit. It’ll help with two functions – wicking sweat away from your skin so you don’t cool too much and keeping warmth in. Normally a shortsleeve baselayer like the 365 S/S base is more than enough, given you will be working hard. Longsleeve versions maybe needed if the temperatures are low but dry, and if it’s really horrible, wet and cold I’ll go for an On One thermo baselayer with a higher turtle neck to retain more warmth. Whilst you can race in tights or legwarmers, it is often better in really bad conditions where there is a lot of mud and water to ride with bare legs as your clothing can get heavy and sodden and uncomfortable. 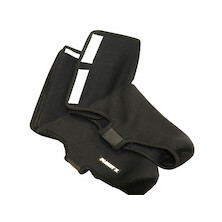 But, keeping your legs warm in these conditions can be a problem so embrocation is the perfect solution for cold and wet. Embrocation and cyclocross have had a long history and there are many types and strengths out there from simple warm-up oils to full on, fiery blends. You don’t need shaved legs to feel like you can wear them, it’s just nice to have something helping keep the warmth on your legs which will be working hard. If temperatures are merely a bit cool, I’ll put on some Chomper Body Crank embro – an easy to apply stick, not too hot and not too invasive a fragrance. When it’s properly muddy, wet and colder, OA Leg Salsa is perfect with it’s hotter formula that is still easily removed and doesn’t bite you back in the shower afterward. Organise your kit into pre-event, recce, warm up, race and post-event bags. Many ‘cross venues are high on the mud factor and low on facilities so warm and comfortable outdoor clothing is usually best for before and after your event. A separate set of clothes for recce is essential if it’s lashing down and you are going to get really mucky just riding a few laps. Change out of this into your race kit and layer up with dry clothes over it to keep warm and dry. Things like zip-off leg warmers are excellent for taking 0ff last minute at the start line and along with embrocation can keep your warm up efforts effective for some time. Make friends with a handy helper who can take your leg warmers and jacket at the start line and at the last minute so you don’t hang around getting cold before your start. Have a towel, wipes and other similar things handy after you finish to get yourself warm and dry and out of that wet/muddy kit. Tempting though it is to stand around dissecting your race afterwards, in minute detail and with fellow competitors, it is surprising how quickly you can get cold and in a state so get back to the car, get changed and then catch up with that great face-plant that so-and-so did mid-race.